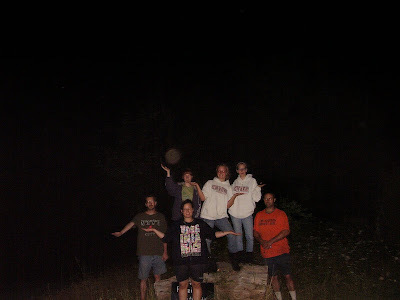 If you are in an area that you are pretty sure is haunted, sometimes if you ask for any spirits in the area to get into the picture with you, they sometimes do. 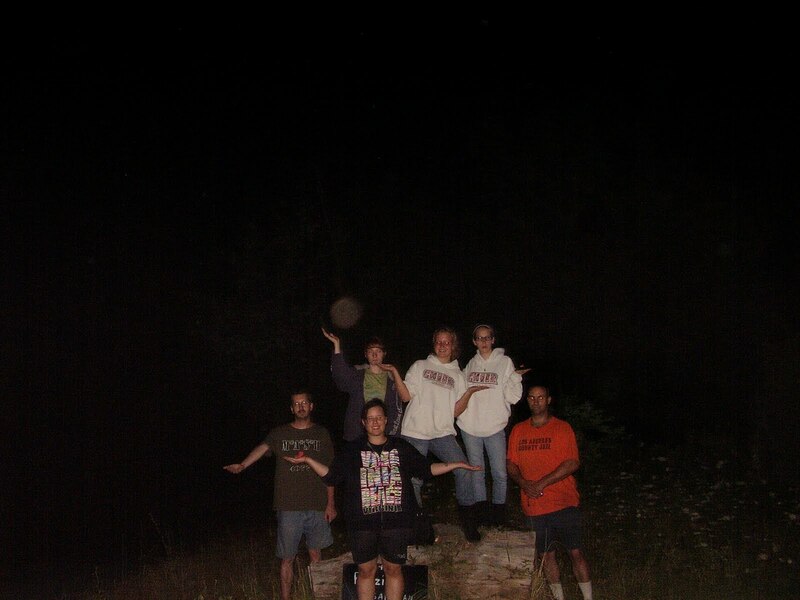 I always have my crew put their hands out and I say "If there are any spirits in the area that would like to get into the picture, please come and sit on one of their hands." This is the result Friday night. After we were done with all the posters for the Legends walk, we went up into a field by my home where there was once a graveyard. It was removed some where between 1941(the date on the cemetery marker we found there) and 1950 when my father moved to this area as a young man). He said there was never one there that he can remember. But he did hear stories about it. He said two farmers bought the property. Half of the cemetery was on each mans property. They would throw the stones back and forth onto each others section. Finally the head stones ended up in the yard of a next door neighbor. The stones of the cemetery are rumored to have been used to build the foundation for the house that is there today. EVP is very good here. We have also seen a shadow person wandering up there. I was not surprised when we got this picture, though I am always amazed when they do something asked of them.